Had brand new deck (pine) built in April 2016. Waited 13 months and started May 2017 and used both DEFY Cleaner (to remove new mill scale) and then Brightener (to aid in absorption) Took my time on this and was very specific in application instructions. 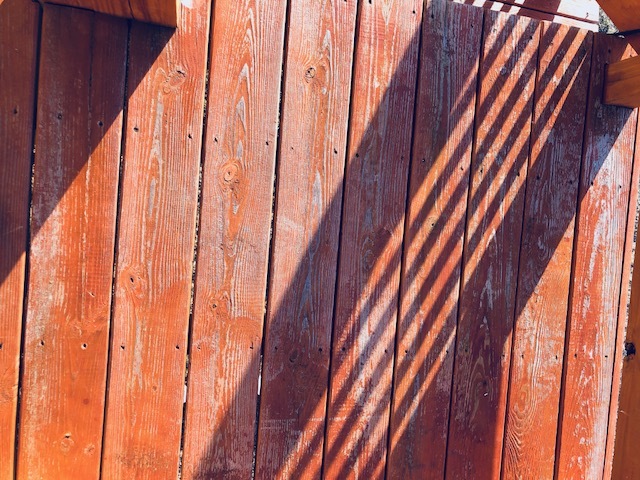 Had days of drying between Cleaner and Brightener and then single coat application of wood stain which was "DEFY Extreme Semi-Transparent Exterior wood stain - Redwood". So I did follow the exact steps recommended for new wood application. 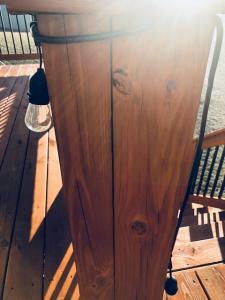 Even purchased and used DEFY deck staining brush. Deck looked great after initial application was completed in June 2017. Had some peeling and fading in a few spots moving into early 2018. Fading and peeling continued to get worse in spring. We had contractor then build roof over entire deck May 2018. I have unfinished posts and whatnot from new roof from May 2018 that need sealed. However, fading and peeling has progressed and I'm at a point of no return. I have DEFY product left over (Cleaner, Brightener and Stain) but feeling if I followed exact instructions again I may be going down the same path. I've seen overall good to great reviews on DEFY and my questions to this forum in 2016 helped me decide to go with that product. So I am not sure if I can remedy the problem as it stands (I will include pics). 1. Do I look at stripping everything and cleaning and starting over? 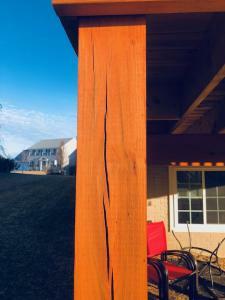 I have a profession power washer so would like to avoid purchasing stripping product unless it's suggested. 2. Can I remedy problem as it stands? I have 2 gallons of DEFY Redwood stain. It doesn't seem like continuing to reapply will work. 3. What other products would you recommend? While the deck previously was exposed to elements (wind/sun/rain) I thought using the DEFY brand and being exact would provide at least initial protection. 4. 80% of deck is now under roof so elements don't play as much into this. Thanks for any and all feedback. I am sort of at a crossroads as I have over 60 hrs in this plus $500+ in DEFY products. I hate to even considering hiring someone as I do not see this type of job to need anything overly special and afraid contractor will use inferior product. I know a lot of factors come into play but what can I look at to determine what new product and or solution to move forward with? I realize no sense in trying to determine what went wrong but may help me look at best option moving forward. 1. You cannot just pressure wash for prep. You will need to use a stripper with the pressure washer. Brightener after. 2. If you remove down to the bare wood you will be fine with the Defy or another brand. 3. You could try the TWP or Armstrong Clark. 4. Stains will last much longer now. You mentioned you did everything correctly but something was done incorrectly. 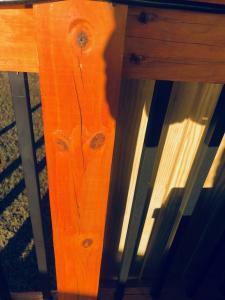 The stain works great when prepped and applied correctly and it fully soaks into the wood. Stains will not work correctly thorough when it cannot soak into the wood. Defy is a penetrating stain and if the Defy had fully soaked in, it is impossible to wear. 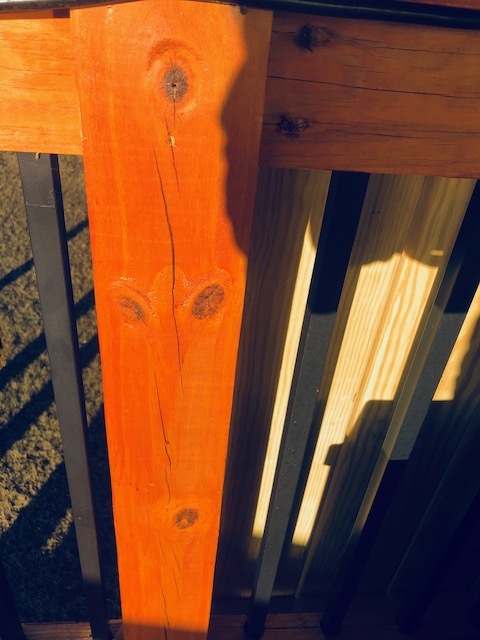 Since you had wearing issues that means it did not fully soak in and most likely due to over application to the point that id dried on top of the wood instead of in the wood. Thanks for the feedback and always impressed on timely response and assistance you provide. Still at a crossroads with this and wanted to provide some pictures. 2 of the pics show peeling. Rest of pics show perfect application. I do agree with you in that something was done incorrectly and I initially thought over application as well. However, I followed instructions to a T for all 3 steps. 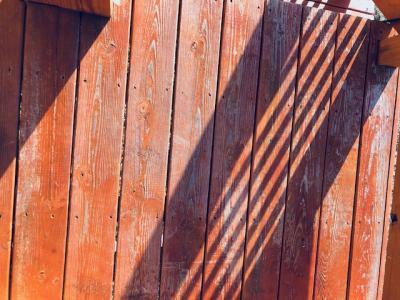 You'll see from pics that all areas,other than deck floor boards and hand rails, look fine and they absorbed DEFY just fine. 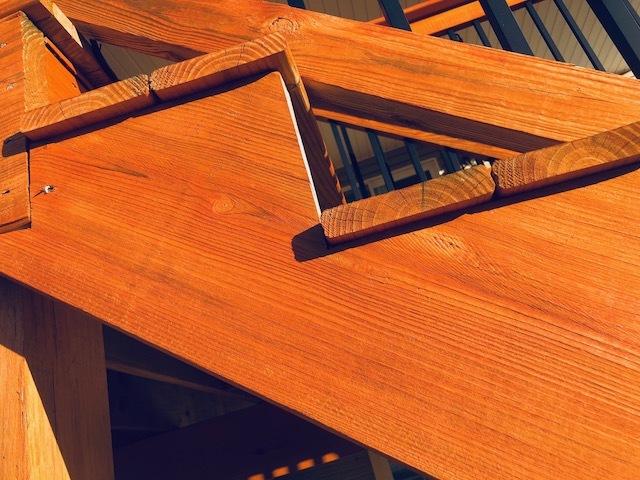 I followed same steps for entire deck and simply feel for whatever reason that the floorboards and handrails simply did not absorb product and most likely is not due to over application as other areas look great with same cleaning, brightening and application methods for entire deck. So I am confident in product but not sure what to do moving forward. 1. Can I strip floorboards and handrails only and start again with Cleaner and Brightener? Or run the risk of of stripping agent (adn CLeaner/Brightener) bleeding all over parts that look fine? 2. I have entire new section of vertical floorboards ready for application (installed May 2018). I am worried I'll run into same exact problem again as these floorboards appear to not absorb regardless of steps in some cases. 3. I hate to start all over as color and protection of DEFY is great OTHER than floorboards and handrails. What can I do to force floorboards and handrails to absorb? The floor pictures do show that it was over applied and very thick. 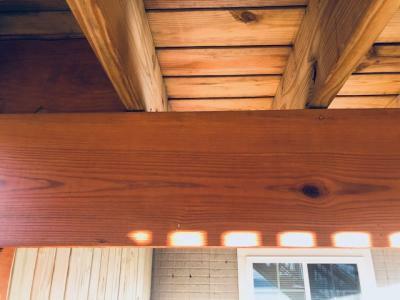 Defy is not supposed to be shiny and it shows that it dried shiny and filmed on top of the wood. You will need to remove from the floors to fix. Strip with you can (it will not all strip off as it is very thick on the floors) and then sand the rest off. Do not and finer than 60-80 grit paper. Brighten all flooring when done. Rinse the areas well that are not being stripped from the overspray while working. This will minimize the touch-ups that will be needed in the vertical wood areas. Once done, just apply 1 coat of defy this year to the floors. If needed, lightly wash and reapply another light coat in 12-24 months. Thanks and I see what you mean now. I remember I applied in direct sun light so that most likely didn't help. I now have this under roof so will be good to go moving forward. The product looks great on all other areas so this floorboard took the brunt of the sun and over application. Just so I'm clear in that no need to user DEFY Cleaner after sanding correct, just the Brightener? Also only use 60 or 80 grit (nothing higher) on my belt sander right? Should I use the Defy Stain Stripper in first step as well it appears? Just brightener after sanding will be fine. Use the Defy Stripper first. It will make the sanding easier.